A 230-volt LED filament light bulb, with an E27 base. The filament is visible as the eight yellow vertical lines. LED light bulb to replace G24 compact fluorescent lamp. An 80W Chip-On-Board COB LED Module from an industrial light luminaire, thermally bonded to the heat sink. LED chips need controlled direct current (DC) electrical power and an appropriate circuit as an LED driver is required to convert the alternating current from the power supply to the regulated voltage direct current used by the LEDs. LEDs are adversely affected by high temperature, so LED lamps typically include heat dissipation elements such as heat sinks and cooling fins. Before electric lighting became common in the early 20th century, people used candles, gas lights, oil lamps, and fires. Humphry Davy developed the first incandescent light in 1802, followed by the first practical electric arc light in 1806. By the 1870s, Davy's arc lamp had been successfully commercialized, and was used to light many public spaces. 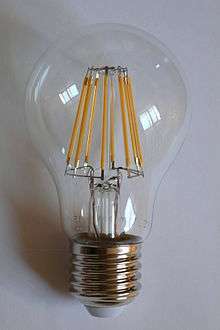 The development of a steadily glowing filament suitable for interior lighting took longer, but by the early twentieth century inventors had successfully developed options, replacing the arc light with incandescents. In January 2009, it was reported that researchers at Cambridge University had developed an LED bulb that costs £2 (about $3 U.S.), is 12 times as energy efficient as a tungsten bulb, and lasts for 100,000 hours. Honeywell Electrical Devices and Systems (ED&S) recommend worldwide usage of LED lighting as it is energy efficient and can help save the climate. In 2009 the exceptionally large Christmas tree standing in front of the Turku Cathedral in Finland was hung with 710 LED bulbs, each using 2 watts. It has been calculated that these LED lamps paid for themselves in three and a half years, even though the lights run for only 48 days per year. Experiments unraveled surprising performance and production of vegetables and ornamental plants under LED light sources. A large number of plant species have been assessed in greenhouse trials to make sure plants have higher quality in biomass and biochemical ingredients even higher or comparable with field conditions. Plant performance of mint, basil, lentil, lettuce, cabbage, parsley, carrot were measured by assessing health and vigor of plants and success in promoting growth. Promoting in profuse flowering of select ornamentals including primula, marigold, stock were also noticed. Light emitting diodes (LEDs) have efficient electric lighting with desired wavelengths (Red+Blue) which support greenhouse production in a minimum time and with high quality and quantity. As LEDs are cool it helps plants to be placed as close as possible to light sources without overheating or scorching. This will save a high amount of space for intense cultivation. 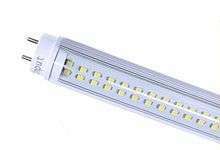 LED lamps are made of arrays of SMD modules that replace incandescent or compact fluorescent light bulbs, mostly replacing incandescent bulbs rated from 5 to 60 watts. Such lamps are made with standard light bulb connections and shapes, such as an Edison screw base, an MR16 shape with a bi-pin base, or a GU5.3 (bi-pin cap) or GU10 (bayonet fitting) and are made compatible with the voltage supplied to the sockets. They include driver circuitry to rectify the AC power and convert the voltage to an appropriate value, usually a switched-mode power supply. 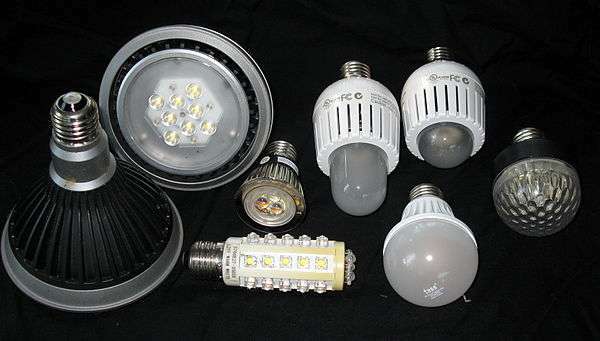 As of 2010 some LED lamps replaced higher wattage bulbs; for example, one manufacturer claimed a 16-watt LED bulb was as bright as a 150 W halogen lamp. A standard general-purpose incandescent bulb emits light at an efficiency of about 14 to 17 lumens/W depending on its size and voltage. According to the European Union standard, an energy-efficient bulb that claims to be the equivalent of a 60 W tungsten bulb must have a minimum light output of 806 lumens. Some models of LED bulbs are compatible with dimmers as used for incandescent lamps. LED lamps often have directional light characteristics. These bulbs are more power-efficient than compact fluorescent bulbs and offer lifespans of 30,000 or more hours, reduced if operated at a higher temperature than specified. Incandescent bulbs have a typical life of 1,000 hours, and compact fluorescents about 8,000 hours. 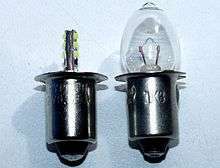 The bulbs maintain output light intensity well over their lifetimes. Energy Star specifications require the bulbs to typically drop less than 10% after 6,000 or more hours of operation, and in the worst case not more than 15%. LED lamps are available with a variety of color properties. The purchase price is higher than most other, but the higher efficiency may make total cost of ownership (purchase price plus cost of electricity and changing bulbs) lower. LED lamps are close to being adopted as the mainstream light source because of the falling prices and because 40 and 60 watt incandescent bulbs are being phased out. In the U.S. the Energy Independence and Security Act of 2007 effectively bans the manufacturing and importing of most current incandescent light bulbs. LED bulbs have decreased substantially in pricing and many varieties are sold with subsidized prices from local utilities. LED tube lights are designed to physically fit in fixtures intended for fluorescent tubes. Some LED tube lamps are intended to be a drop-in replacement into existing fixtures if appropriate ballast is used. Others require rewiring of the fixtures to remove the ballast. An LED tube lamp generally uses many individual Surface-Mounted LEDs which are directional and require proper orientation during installation as opposed to Fluorescent tube lamps which emit light in all directions around the tube. Most LED tube lights available can be used in place of T8, T10, or T12 tube designations, T8 is D26mm, T10 is D30mm, in lengths of 590 mm (23 in), 1,200 mm (47 in) and 1,500 mm (59 in). In keeping with the long life claimed for LED lamps, long warranties are offered. One manufacturer warrants lamps for professional use, depending upon type, for periods of (defined) "normal use" ranging from 1 year or 2,000 hours (whichever comes first) to 5 years or 20,000 hours. A typical domestic LED lamp is stated to have an "average life" of 15,000 hours (15 years at 3 hours/day), and to support 50,000 switch cycles. Incandescent and Halogen light bulbs naturally have a power factor of 1, but Compact fluorescent and LED lamps use input rectifiers and this causes lower power factors. Low power factors can result in surcharges for commercial energy users; CFL and LED lamps are available with driver circuits to provide any desired power factor, or site-wide power factor correction can be performed. EU standards requires a power factor better than 0.5 for bulb powers up to 25 Watt and above 0.9 for higher power bulbs. Color rendering is not identical to incandescent lamps which emit close to perfect Black-body radiation as that from the sun and what eyes have evolved for. A measurement unit called CRI is used to express how the light source's ability to render the eight color sample chips compare to a reference on a scale from 0 to 100. LEDs with CRI below 75 are not recommended for use in indoor lighting. LED lamps are sensitive to excessive heat, like most solid state electronic components. LED lamps should be checked for compatibility for use in totally or partially enclosed fixtures before installation since heat build-up could cause lamp failure and/or fire. The long life of LEDs, expected to be about 50 times that of the most common incandescent bulbs and significantly longer than fluorescent types, is advantageous for users but will affect manufacturers as it reduces the market for replacements in the distant future. The human circadian rhythm can be affected by light sources. The effective color temperature of daylight is ~5,700K (bluish white) while tungsten lamps are ~2,700K (yellow). People who have circadian rhythm sleep disorders are sometimes treated with light therapy (exposure to intense blueish white light during the day) and dark therapy (wearing blue tinted goggles at night to cut out all blueish light). Some organizations recommend that people should not use bluish white lamps at night. The American Medical Association argues against using bluish white LEDs for municipal street lighting. The term "efficiency droop" refers to the decrease in luminous efficacy of LEDs as the electric current increases above tens of milliamps (mA). Instead of increasing current levels, luminance is usually increased by combining multiple LEDs in one bulb. Solving the problem of efficiency droop would mean that household LED light bulbs would need fewer LEDs, which would significantly reduce costs. Early suspicions were that the LED droop was caused by elevated temperatures. Scientists proved the opposite to be true that, although the life of the LED would be shortened, elevated temperatures actually improved the efficiency of the LED. The mechanism causing efficiency droop was identified in 2007 as Auger recombination, which was taken with mixed reaction. In 2013, a study conclusively identified Auger recombination as the cause of efficiency droop. ↑ "How Energy-Efficient Light Bulbs Compare with Traditional Incandescents". energy.gov. Retrieved 31 August 2016. ↑ "CFLs vs. LEDs: The Better Bulbs". greenamerica.org. Retrieved 31 August 2016. ↑ "Lightbulb Efficiency Comparison Chart". greatercea.org. Retrieved 31 August 2016. ↑ "LEDs Will Get Even More Efficient: Cree Passes 300 Lumens Per Watt". forbes.com. Retrieved 31 August 2016. ↑ Bergesen, Joseph D.; Tähkämö, Leena; Gibon, Thomas; Suh, Sangwon (2016). "Potential Long-Term Global Environmental Implications of Efficient Light-Source Technologies". Journal of Industrial Ecology. 20 (2): 263. doi:10.1111/jiec.12342. .
↑ Damir, B (2012). "Longevity of light bulbs and how to make them last longer". RobAid. Retrieved 10 August 2015. ↑ 2006 Millennium technology prize awarded to UCSB's Shuji Nakamura. Ia.ucsb.edu (15 June 2006). Last retrieved on 22 June 2016. ↑ "The Nobel Prize in Physics 2014 – Press release". www.nobelprize.org. Retrieved 7 October 2014. 1 2 3 "Fans of L.E.D. 's Say This Bulb's Time Has Come". The New York Times. 28 July 2008. 1 2 Taub, Eric; leora Broydo Vestel (24 September 2009). "Build a Better Bulb for a $10 Million Prize". New York Times. Retrieved 6 February 2010. ↑ Department of Energy Announces Philips Lighting North America as Winner of L Prize Competition | Department of Energy. Energy.gov (3 August 2011). Retrieved 2012-06-02. ↑ American National Standard for Specifications for the Chromaticity of Solid-State Lighting (SSL) Products. Nema.org. Retrieved 2 June 2012. ↑ Energy Star Program Requirements for CFLS Partner Commitments, 4th edition, dated 03/07/08, retrieved 25 June 2008. ↑ Energy saving lighting. Energysavingtrust.org.uk. Retrieved 18 January 2013. ↑ "Switching to LED is a global task: Honeywell". 7 June 2012. ↑ Wolverton, Troy (2016-03-12). "Be prepared to say goodbye to the lightbulbs you've loved". The Charlotte Observer. San Jose Mercury News. p. 1C. ↑ "Of the top six in Turku, led a move – HS.fi – Domestic". 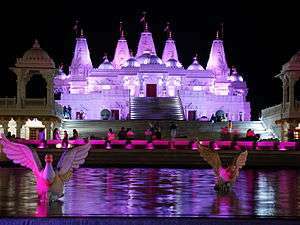 19 November 2009. Retrieved 9 January 2012. 1 2 Narendran, Nadarajah; Deng, Lei (2002). "Color rendering properties of LED light sources". Proceedings of the SPIE. Solid State Lighting II. 4776: 61. Bibcode:2002SPIE.4776...61N. doi:10.1117/12.452574. ↑ "Warem white LED light". Retrieved 2016-09-04. ↑ "Two-minute explainer: Tunable-white LEDs". Retrieved 2016-09-04. ↑ "Warsaw Top 10" (PDF). Warsaw tour Edition nr 5, 2012. p. 20. Retrieved 1 March 2013. The National Museum in Warsaw is also one of the most modern in Europe. (...) The LED system allows to adjust the light to every painting so that its unique qualities are enhanced. ↑ Moreno, Ivan; Avendaño-Alejo, Maximino; Tzonchev, Rumen I. (2006). "Designing light-emitting diode arrays for uniform near-field irradiance" (PDF). Applied Optics. 45 (10): 2265–2272. Bibcode:2006ApOpt..45.2265M. doi:10.1364/AO.45.002265. PMID 16607994. ↑ Moreno, Ivan; Contreras, Ulises (2007). "Color distribution from multicolor LED arrays". Optics Express. 15 (6): 3607–18. Bibcode:2007OExpr..15.3607M. doi:10.1364/OE.15.003607. PMID 19532605. ↑ Lonsdale, Sarah (7 July 2010). "Green property: energy-efficient bulbs". The Daily Telegraph. London. Retrieved 8 June 2011. ↑ Taub, Eric (11 February 2009). "How Long Did You Say That Bulb Would Last". New York Times. Retrieved 9 March 2016. ↑ "Q&A: How much can I save by replacing incandescent bulbs with CFLs?". Consumer Reports. 29 March 2010. Retrieved 9 March 2016. ↑ "Integral LED Lamps Criteria Development" (PDF). ↑ Wells, Quentin (2012). Smart Grid Home. Cengage Learning. pp. 163–. ISBN 1-111-31851-4. 1 2 Raatma, Lucia (2010). Green Living: No Action Too Small. Compass Point Books. p. 22. ISBN 978-0756542931. ↑ "Table 5.6.A. Average Retail Price of Electricity to Ultimate Customers by End-Use Sector (Oct 2013)". .S. Energy Information Administration. Retrieved 30 December 2013. ↑ "Philips 60-Watt Household Incandescent Light Bulb". Home Depot. ↑ "Eco 35-Watt Soft White Dimmable Light Bulb (4-Pack) 2015". osram.at. ↑ "EcoSmart 60W Equivalent Soft White (2700K) Twister CFL Light Bulb (4-pack)". Retrieved 20 January 2014. ↑ "60W Equivalent Soft White (2700K) A19 Dimmable LED Light Bulb". Home Depot. Retrieved 8 November 2014. ↑ "CLA LEDBulb ND 6-60W A60 E27 827 CL" (PDF). Philips Lighting. ↑ "LEDnovation – 9.4 Watt – 60 Watt Equal". Retrieved 6 November 2014. ↑ "Lightbulbs – LEDs and CFLs offer more choices and savings" (PDF). ConsumerReports. 2011. Retrieved 21 January 2014. ↑ "The Clinton Presidency: Protecting Our Environment and Public Health". The White House. Retrieved 26 March 2012. ↑ "Energy star products specs". Retrieved 2016-09-04. ↑ ENERGY STAR Program Requirements for Solid State Lighting Luminaires. (PDF) . Retrieved 2 June 2012. ↑ "Characterizing and Minimizing LED Flicker in Lighting Applications" Steven Keeping (2012). Retrieved on 17 June 2016. ↑ "A Review of the Literature on Light Flicker: Ergonomics, Biological Attributes, Potential Health Effects, and Methods in Which Some LED Lighting May Introduce Flicker," IEEE Standard P1789, February 2010. ↑ Open letter from Alex Baker, Lighting Program Manager, ENERGY STAR, dated March 22, 2010. ↑ West, Kathleen E.; Jablonski, Michael R.; Warfield, Benjamin; Cecil, Kate S.; James, Mary; Ayers, Melissa A.; Maida, James; Bowen, Charles; Sliney, David H.; Rollag, Mark D.; Hanifin, John P.; Brainard, George C. (1 March 2011). "Blue light from light-emitting diodes elicits a dose-dependent suppression of melatonin in humans". J. Appl. Physiol. 110 (3): 619–626. doi:10.1152/japplphysiol.01413.2009. PMID 21164152 – via PubMed. ↑ Cajochen, Christian; Frey, Sylvia; Anders, Doreen; Späti, Jakub; Bues, Matthias; Pross, Achim; Mager, Ralph; Wirz-Justice, Anna; Stefani, Oliver (1 May 2011). 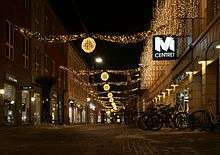 "Evening exposure to a light-emitting diodes (LED)-backlit computer screen affects circadian physiology and cognitive performance". J. Appl. Physiol. 110 (5): 1432–1438. doi:10.1152/japplphysiol.00165.2011. PMID 21415172 – via PubMed. ↑ Williams, D. R. (2004). "Sun Fact Sheet". NASA. Retrieved 2010-09-27. ↑ "Olympus Microscopy Resource Center - Photomicrography - Color Temperature". ↑ "Circadian Rhythms Fact Sheet - National Institute of General Medical Sciences". ↑ Fahey, Christopher D.; Zee, Phyllis C. (1 December 2006). "Circadian rhythm sleep disorders and phototherapy". Psychiatr. Clin. North Am. 29 (4): 989–1007; abstract ix. doi:10.1016/j.psc.2006.09.009. PMID 17118278 – via PubMed. ↑ Appleman, Kenneth; Figueiro, Mariana G.; Rea, Mark S. (1 May 2013). "Controlling light–dark exposure patterns, rather than sleep schedules, determines circadian phase". Sleep Med. 14 (5): 456–461. doi:10.1016/j.sleep.2012.12.011. PMC 4304650 . PMID 23481485 – via PubMed Central. ↑ "AMA Adopts Community Guidance to Reduce the Harmful Human and Environmental Effects of High Intensity Street Lighting". www.ama-assn.org. Retrieved 2016-06-22. ↑ The LED's dark secret. EnergyDaily. Retrieved on 16 March 2012. ↑ Efremov, A. A.; Bochkareva, N. I.; Gorbunov, R. I.; Lavrinovich, D. A.; Rebane, Y. T.; Tarkhin, D. V.; Shreter, Y. G. (2006). "Effect of the joule heating on the quantum efficiency and choice of thermal conditions for high-power blue InGaN/GaN LEDs". Semiconductors. 40 (5): 605. doi:10.1134/S1063782606050162. ↑ Smart Lighting: New LED Drops The 'Droop'. Sciencedaily.com (13 January 2009). Retrieved on 16 March 2012. ↑ Iveland, Justin; et al. (23 April 2013). "Cause of LED Efficiency Droop Finally Revealed". Physical Review Letters, 2013. Science Daily. Wikimedia Commons has media related to LED lamps.